It looks like nice (and tender) lettuce. I have red veined sorrel (not quite as advanced as yours). We will have to remember to eat it this year - last year I just watched it grow and admired it until it grew old and tough. Greetings, Amanda. How odd that it would come up twice... That sorrel looks lovely. 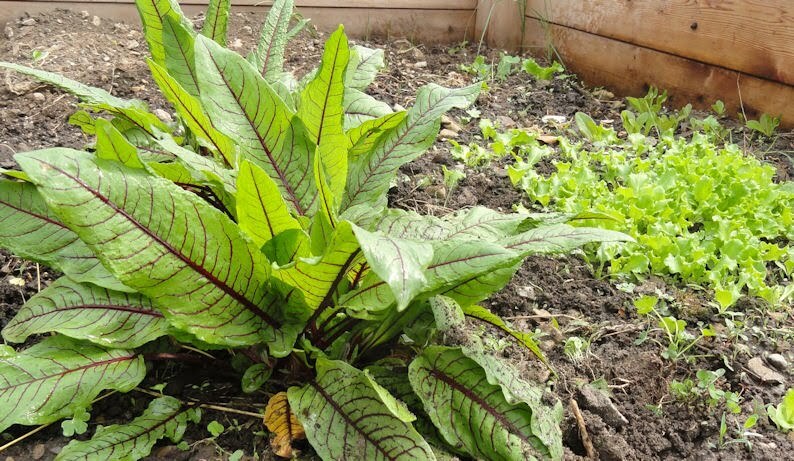 I've never grown sorrel, but I should look into it.